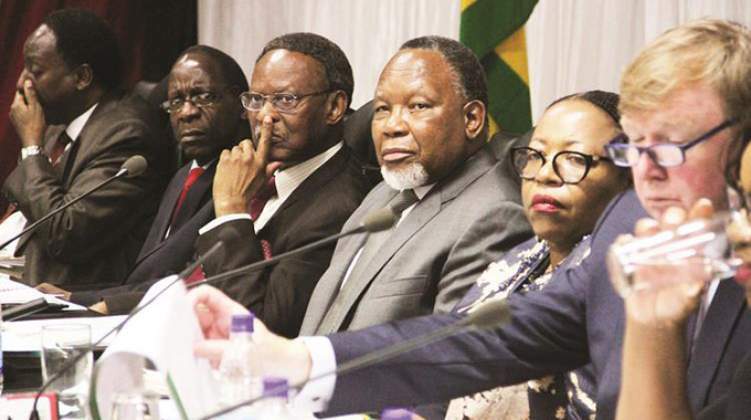 THE much-awaited Commission of Inquiry into the August 1 post-election violence has nailed the MDC as the main architects of the disturbances although it did not conclude on who shot and killed six civilians during the ill-fated Harare protests. This is contained in a 1,200 page report by the Kgalema Motlanthe led probe team which completed its work recently. Presenting its findings at his Munhumutapa offices Tuesday, President Emmerson Mnangagwa, who was reading excerpts from the report, said the two month long probe managed to establish the MDC was responsible for the violence. "Having considered all the evidence, the Commission found on a balance of probability, that speeches made by political leaders mostly the MDC Alliance before and after the elections heightened tensions and played a part in inciting some members of the public to protest tensions," Mnangagwa said. "The influence of these speeches is evidenced by demonstrators reproducing, in many cases, word for word the language used in the rallies in their songs and speeches during the demonstrations. "During the pre-election rallies, the MDC Alliance had taken a position that if their presidential candidate Nelson Chamisa did not win the elections, they would protest, a threat that they implemented." Mnangagwa continued while reading extracts from the report, "The protests were well planned and well-orchestrated as shown, for example, by the fact that the groups arrived with containers of assortment of objects, stone and bricks, sticks posters etc, which they used in their demonstration. "The Commissions also found out that the riots were forcing ordinary people who were conducting day to day business to join the riots. The move did not spare the physically and incapacitated members of public. "Fake and fabricated and biased news on social media contributed to the violence." The Commission of Inquiry was set up by Mnangagwa to look into the country's most bloody post-election episode in 10 years. This followed wild skirmishes blamed on the opposition which was not happy with the manner in which the Zimbabwe Electoral Commission was announcing the results of the July 30 election. The MDC was agitated at the slow announcement of the results amid concerns this was meant to buy time by ZEC to manipulate the outcome in Zanu-PF's favour.